I am one of those rare rather unfortunate people who cannot put the blame on their parents. Because despite all conventional flows, my parents were dead against my choices. My run of the mill, safe options. I had the extremely unheard opportunity in this life to undergo a discussion where I had to convince my father why I was not talking humanities or commerce as a stream in class twelve. And then further on why engineering and not an economics honors from a state university? Questions I found funny then, hurtful now. It was one of those rough college nights which see you standing in your balcony with a friend covered in a cloud of smoke, tears rolling down your eyes. Engulfed in a silence which sees no end. Precisely in the next few puffs you happen to stumble upon an irony. An example that leads you into more darkness, yes. But helps you find some meaning. Yes history was being written when we both started to discover an idea. An idea that made us further depressed but helped us explain our stand many times over with little or no words. Why Shekhar Suman who had the extreme chance to be Jay Leno of our times gave it all up for a mediocre acting career? That’s it. This question came out of nowhere on that windy day in balcony and became a landmark moment for us. What is Shekhar Suman Syndrome? It is a psychological disorder where against all rationale we quit the thing we love. We give up the idea we wholeheartedly excel in and go on a rampage of action plans decidedly not ours. Basically be like Shekhar Suman. NOT. Why am I speaking about this tonight? His words meant nothing to me then. Only the look of amazement he had while watching my video did. 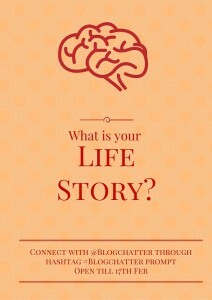 A few days back when I took up Blogchatter classes workshop, I was scared. I was nervous. But the moment I was put in front of a set of people, I felt my most comfortable. Hours later sitting at the airport I remembered. A conversation. “Why exactly engineer?” my father had asked. “Because it pays money,” I had replied, unabashedly. Tell me tonight do you have Shekhar Suman syndrome? Have you also given up a dream for easy options? Removed your excellence for ease? 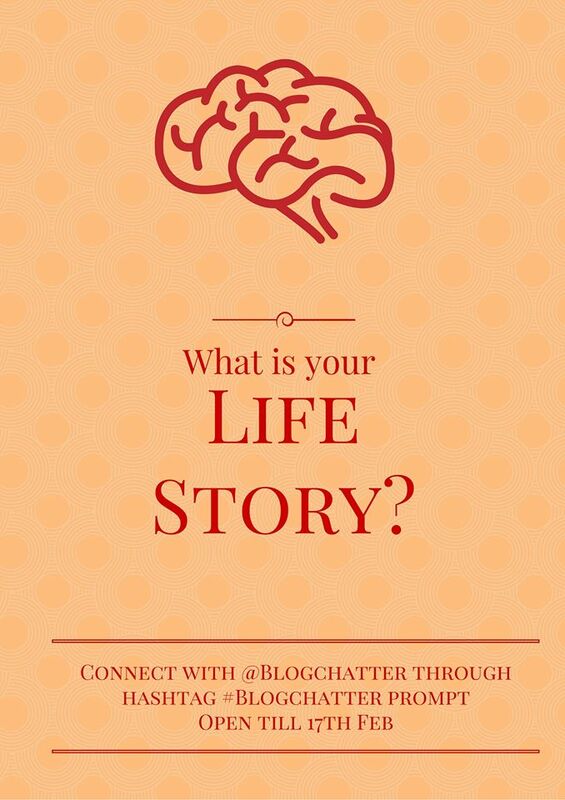 This week for Blogchatter prompt, write a post on a life theory you believe. Good, bad ugly. Inspirational or depressing. Anything. Conjure your post around philosophy! And connect it in the linky below. This is a veritable Pandora’s box. I am not opening it….looking back, unfulfilled dreams..not my forte. Carpe diem for me anytime! That said, an introspective post from the heart. Always wondered why the hell can’t Shekhar Suman stick to Movers & Shakers? I’m gonna try join you guys on Twitter for Blog Chatter, should I find time off work 🙂 Glad you shared this. SSS…now that’s something I’d never thought about, but sure suffered from for a long time. Thankfully, I wised up! I need to wise up too Corinne then.. I see your Shekhar Suman Syndrome and I raise you an Anupam Kher Syndrome . Very wise of me you’d say? Well. Age – that’s the explanation for most things in life , certainly not the one day delay in linking this up . Your weekly prompts push shove probe and they literally keep crawling in one’s head till one writes. So thank you for that and here’s an advice hope you never ignore – Please keep writing . I hate Anupam Kher 😐 And thanks for the advice 🙂 I need to hear it more often! I was quite curious when I read the title ‘Shekhar Suman Syndrome’ ;). But yeah always wondered why he left Movers and Shakers when it was actually doing quite well. By the way there are also others like the Himesh Reshammiya syndrome ;). On another note, I guess a lot many of us tend to take up easy options just so that the money keeps coming in. Taking risks is something even I am generally not used to. Maybe it’s the nervousness or the lack of courage to do something totally different from the rest which holds me back :(. But in his case maybe continuing was an easy option, he decided to take the regular path to success by choosing acting, not easy path.